This predictive analytics infographic show how Nippon Paint is using Intel® Xeon® E7 processors with in-memory analysis software SAP HANA* to optimize manufacturing, supply chain, and marketing operations with big data aggregated from sales, suppliers, purchases, and social media. The results are significantly smarter, more agile, and efficient operations. Servers based on the new Intel® Xeon® ...processor E7 v3 family deliver the world’s fastest system for real-time analytics on a trusted, mission-critical, highly scalable platform. 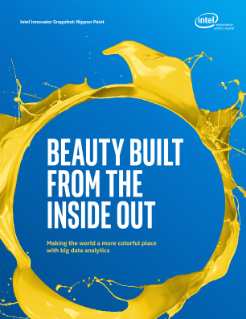 Together Intel and Nippon Paint are upping the game for retailers around the world with exceptional customer service driven by real-time analytics in product development and manufacturing, supply chain, and marketing.